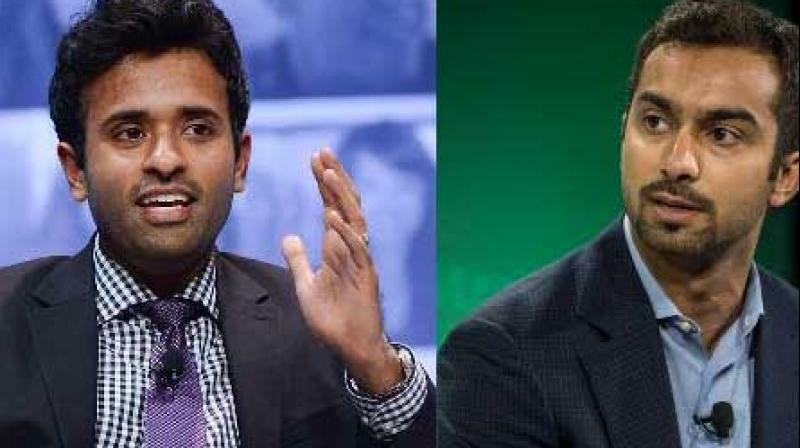 Two Indian-origin men have figured in Forbes magazine's second annual list of wealthiest entrepreneurs under the age of 40 which is topped by Facebook founder Mark Zuckeberg. Ramaswamy, 31, a Harvard University and Yale School of Management alumnus, continues to make waves in the biotech business with his deals and drug development plans, Forbes said. He was behind the biggest biotechnology initial public offering of 2016, Myovant Sciences, which raised USD 218 million listing its shares on Nasdaq in October, it said. Last year, Ramaswamy pulled off the biggest IPO in the US biotech history by listing shares of Axovant, a company that is trying to develop a new Alzheimer's drug. He runs Roivant Sciences, a biotech holding company with an innovative financial strategy to develop drugs, often by purchasing drugs that have been forgotten or abandoned by the pharmaceutical industry. Forbes called Mehta one of Silicon Valley's youngest immigrant success stories. Born in India, Mehta and his family moved to Canada in 2000, where he studied engineering at the University of Waterloo before working at Blackberry, Qualcomm, and then Amazon. In 2012, he cofounded Instacart, a grocery delivery service that partners with grocery chains. Customers can order groceries through a mobile app, and pay fees of typically under USD 10 to get deliveries in an hour or two from Instacart contractors. The company is valued at an estimated USD 2 billion, and most recently raised funding from Whole Foods Market in March 2016, it said. Newcomers to the 2016 ranks include NBA stars Kobe Bryant and LeBron James and boxer Floyd Mayweather as well as pop star Beyonce and actress-turned-consumer products marketer Jessica Alba. The last two are the only women among the top 40 under 40. All five of these superstars have net worths that range from USD 275 million to USD 350 million, Forbes said. The richest under 40 newcomer is Bryan Sheffield, who has struck it rich in the Texas oil patch. Sheffield is worth USD 1.45 billion. Another new billionaire is Kevin Systrom, cofounder of photo-sharing app Instagram.